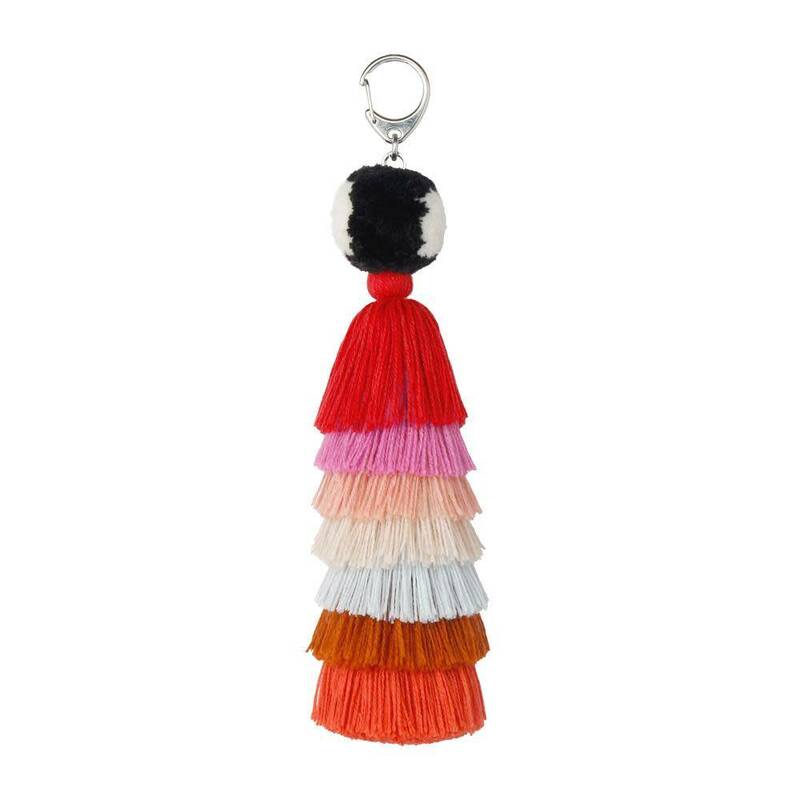 Mark your bag, mark your luggage, mark your items with this lovely Verloop Bag Charm! Remnant materials from previous collections find new life in these colorful bag charms. 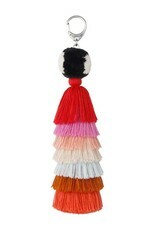 Each charm is made by hand and attached to a key chain clasp.